Remember the last time you finally made it to the end of a stressful project only to discover that you’d done it wrong and needed to start over? Hopefully, such a tragedy is distant enough in the past that it’s hard to remember, but it’s not uncommon for us to make mistakes without realizing we’re doing anything wrong. Such errors occur often in the marketing industry, where trends and strategies change so often that we could be making a mistake that wasn’t one two years ago. 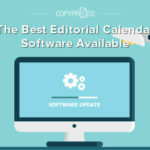 The key to avoiding unnecessary errors (and thus, unnecessary waste of time and resources) is to stay up to date on the common ones surrounding issues of your concern. 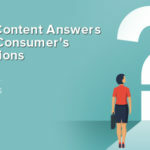 In this article, we’re going to explore common mistakes content marketers find themselves making that end up impacting their website’s SEO. 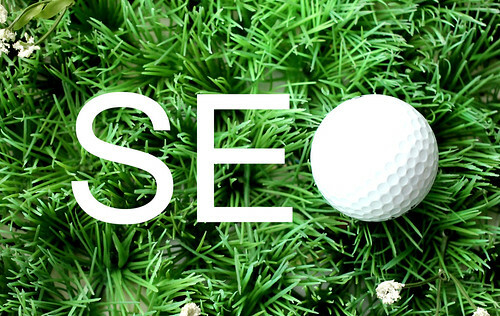 Here are eight SEO mistakes that you would do well to avoid. Search engines have evolved substantially since they were first conceived in the 1990s, but Google’s primary concern with awarding search engine ranks has stayed the same. In the ’90s, Google said, “We want the website with the most relevant content to always appear in the number one slot for any given search.” Despite algorithm changes, this mantra still holds true. Search engines have only improved at finding websites delivering great content. Making your website one of these should be your primary concern. Google found that users want sites with comprehensive, well-written information, as well as simple navigation and modern design. 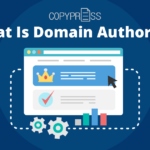 The search engine giant calls such sites “authority websites.” That’s what you want to be. That’s the bar. Reach it by providing unique, in-depth content focused on the topics determined with your target audience in mind. You already know that it’s important to include videos, photographs, and other eye-catching graphics on your webpages, but keep in mind how such media affects load time. This factor is especially important for mobile devices, which generally have less memory and a slower internet connection than a desktop computer. Slow load times damage SEO in two primary ways. First, Google analyzes how long users are on a page, because that determines how relevant the page is. Users are likely to exit out of a page that doesn’t load quickly enough. Second, loading time itself is analyzed by search engine algorithms, and a slow load speed could land your website a lower ranking. To reduce load times, use cache programs and reduce the amount of front-loading plugins on your site. You can also slightly compress images to gather a few precious tenths of a second of load time. Sometimes, the reasons for slow loading times are less obvious and thus less easy to fix. The problem may be shrouded in layers of code or it could be a conflict involving plugins. To find and resolve such issues, use tools like GTmetrix or Pingdom. Sleek and smooth navigation is crucial not only to satisfy users and entice them to return to your website, but for good search engine results as well. Clunky, confusing navigation will leave users going somewhere else for their needs. Ideally, users should be able to complete their hunt for information within two or three clicks from the homepage. If organizing your navigation that way sounds difficult for your business, at least put the most important content as close to your homepage as possible. Doing so requires knowing what the audience will find most crucial. Smooth navigation also allows search engine bots to easily map a website, specifically how one page relates to another. Optimizing navigation will improve everyone’s experience, including yours. Any time content is moved from one URL to another, search engines treat that content as if it’s a completely new page with no ranking history whatsoever. That is, unless the original page makes a 301 or 302 redirect. A 301 redirect permanently transfers the “link juice” (ranking power) to the redirected page. A 302 redirect, on the other hand, is temporary and signals that the content will at some point return to its original location. Some website owners put off setting up 301 redirects because it can be time-consuming when a site has hundreds or even thousands of pages. Taking the time to set up redirects is absolutely essential, however, because if pages fail to redirect, search engines may treat them as “vanishing pages,” and thus penalize your website. That means you forfeit backlinks and authority that were previously established for the old URL, not something you want to do. You already know that keywords have a significant impact on search ranking, but more important than simply including keywords is what keywords you use and how you use them. 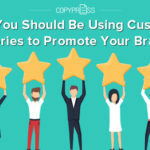 Some companies neglect the preference that both users and search engines have for long-tail keywords, which are three and four keyword phrases specific to what you’re selling. Long-tail keywords take into account not how your company would refer to a product or service, but how your customers would refer to them. 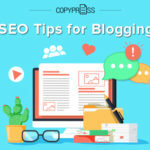 You may be using jargon without realizing it, and using such words and terms in your content will hurt your SEO and make the content confusing to users, which you may lose as a result. Knowing which keywords to use requires thorough audience research and knowledge of trending keywords. Get a grasp of such keywords with tools like Google AdWords KeywordPlanner and Google Trends. Just as important as using the correct keywords is how you use them. Search engines used to give ranking priority to content that had the highest concentration of keywords. That practice resulted in keyword stuffing, where the quality of content was sacrificed for the sake of including more keywords. Today, keyword stuffing is a mistake. Now, search engines mark stuffed pages as spam, which hurts SEO. Google’s algorithm has advanced to the point where it can recognize more than only specific keywords; it can also recognize the general topic of your content and everything related to the keywords. If you’re optimizing SEO for Bing or Yahoo, however, you’ll still want to use word-for-work keywords. Just be sure not to sacrifice the quality of your content. That always comes first. As with keywords, it can be tempting to fill content with links to your top-performing pages. There’s nothing wrong with linking to such pages (in fact, you should definitely do that), but if the links aren’t consistent with your content, they will feel unnatural. Users won’t appreciate the link stuffing, and search engines sometimes reduce the ranking of stuffed pages because it sees linking inconsistently with content as a fraudulent practice. Most of the time, three to five strategic links to top-performing pages is plenty. Once again, only link to content related to the that in which the link is embedded. This should encourage you to write in a focused manner and to craft unique, potentially top-performing content that can be linked to a variety of relevant material. Remember our discussion on slow load times? One significant factor that may be contributing to your website loading slowly are unoptimized images and videos. Optimizing digital media improves load times and improves overall SEO ranking. To do this, format raster images as .jpg files and vector images as .png files. When writing alt text for images, include keywords so they contribute to your SEO. When working with videos, you also need to think about optimizing them for SEO. Start by hosting all your video files in the same, single folder. Then, create a video site map that will assist search engines in indexing your videos. And as with images and their alt text, use strategic keywords in video meta descriptions. Consider also inserting a call to action. Think of how often you use your phone to access the internet compared to how often you use your desktop or laptop. You’re not the only one that likely uses the former more than the latter. In fact, as of June, 2013, 55 percent of online shopping time was spent on a mobile device. If your website doesn’t transfer well to a mobile format, you’ll lose users and ranking. Algorithms now take into account whether or not your website is mobile-friendly when it awards ranking. If you haven’t already, you need to change your website from a Standard website to a Responsive one. Responsive sites recognize whether the user is using a desktop or mobile device and will resize themselves for the best viewing experience. SEO is all about making the search process seamless for the user, and creating a Responsive website is one of the best ways to do that. If you want your website to stand out against the ocean of other sites on the web, you need to know the ins and outs of search engine optimization. 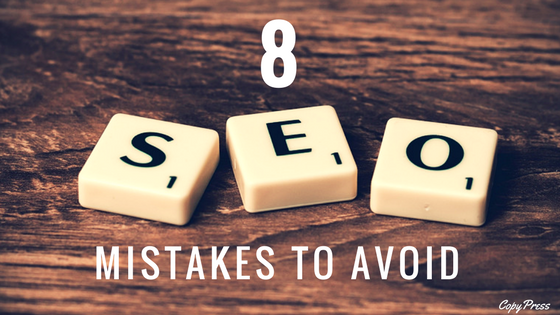 And if you can avoid these common SEO mistakes, you can turn search engine algorithms from enemies into friends. The internet needs your unique content, so do what’s necessary to get those views.